The required method books for AGS 8th Grade Band members are the "Standard of Excellence" Book 1 (Red) & 2 (Blue), which can be purchased through Amazon or Marshall Music. 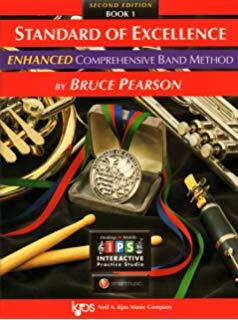 Band Students who attended AGS Middle School in 6th & 7th grades should already have these books! These required texts will be important for playing tests, individual practice and ensemble use in class.